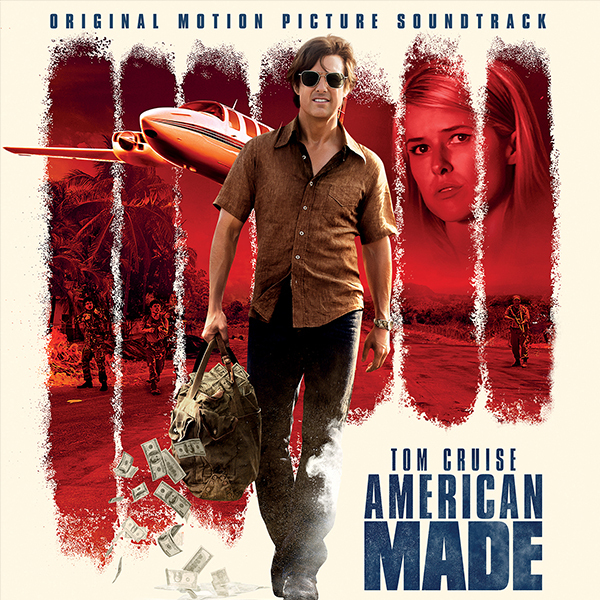 Howlin' Wolf Records: SIX STRINGS: VARÈSE SARABANDE: "AMERICAN MADE"
Varèse Sarabande will release the AMERICAN MADE – Original Motion Picture Soundtrack digitally and on September 29 and CD on October 27, 2017. The soundtrack features classic hits by The Allman Brothers Band, Townes Van Zandt, Linda Ronstadt and three original score suites composed by Christophe Beck (FROZEN, ANT MAN). Let's start the Tom Cruise... running man! Heard it's a good film although I'll probably wait for NetFlix.